If you have any questions or issues, please feel free to ask them! They're here to help, after all! Our moderators constantly give feedback to us, and have the authority to give warnings and bans. Please give them the respect you would give an admin. Sign-ups for this event close on the 6th of February, so please get your forms in as soon as possible! 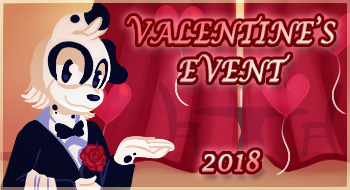 The last Valentines event, which was several years ago, was incredibly popular and well-received. Let's make this one as equally amazing!